An evening excursion to a rousing Brazilian Show of music, which can be experienced all year-round. The show is a display of the Brazilian rhythms and traditions. The exotic costumes worn by performers and the contagious sound of the drums are a sight apart. Dinner: Barbecue restaurant. Salads, endless variety of meat served continuously and also with several accompaniments, ending with dessert. (Drinks not included). 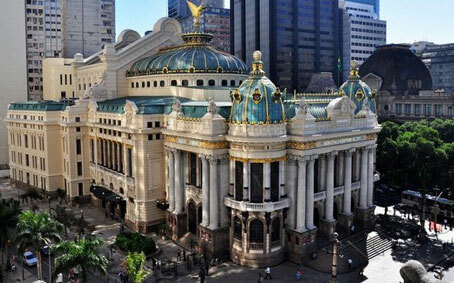 An evening excursion to a rousing Brazilian Show of music, which can be experienced all year-round. 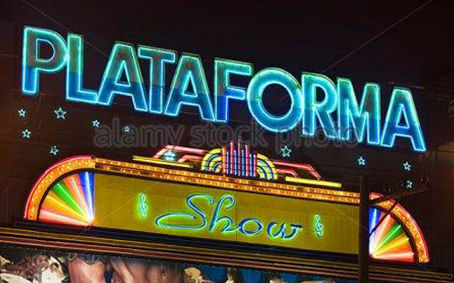 The show is a display of the Brazilian rhythms and traditions. 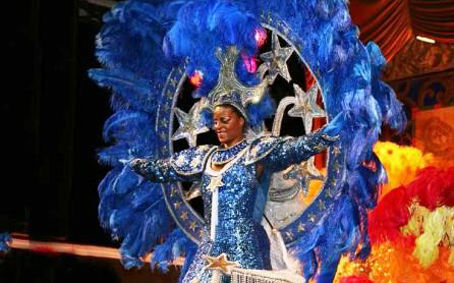 The exotic costumes worn by performers and the contagious sound of the drums are a sight apart. Dinner (optional): Barbecue restaurant. Salads, endless variety of meat served continuously and also with several accompaniments, ending with dessert. (Drinks not included). 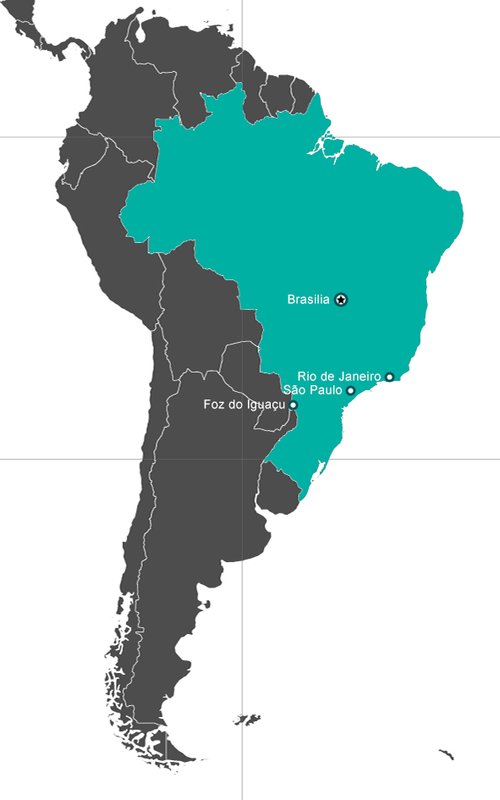 Located some 800 m.a.s.l., Petropolis “The Imperial City” is the state of Rio de Janeiro's most sought after mountain Resort City and fourth largest commercial center. It is chiefly a monument to Dom. Pedro II, emperor of Brazil from 1831 until his exile in 1889. 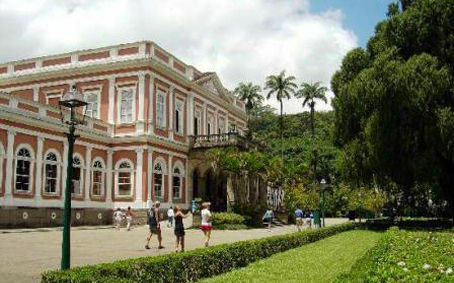 Emperor Pedro I, who purchased land in the spectacular Serra do Mar for a projected summer palace, first envisioned Petropolis in the 1830's. However, it was his son Pedro II, who actually built the palace and the quaint town surrounding it. The idea was to maintain a refreshing refuge from Rio's wilting summer heat. The highway linking Rio and Petropolis is an engineering marvel. Its concrete bridges soar over green valleys and the road curves around mountain walls revealing exquisite views of the horizon. Includes lunch. Ride by open off-road jeep through Jardim Botânico district and start the climb of the Tijuca Forest reaching the Chinese View look out spot where a short stop is made for the magnificent view. Continue the ride until we reach the Tijuca National Park, an area of 3.200 hectares of protected Atlantic Forest and shelter to a variety of birds and butterflies as well as "prego" and "sagui" monkeys. 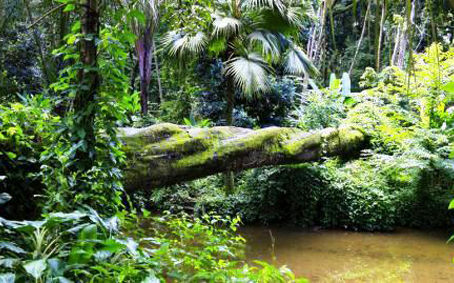 The forest is also home to hundreds of species of plants, many of them threatened by extinction. Located in the heart of the city, the Tijuca National Park is the largest urban reserve in the world. A 15 minutes walk is planned from this point until the waterfall of Cascatinha where there's a rest stop and refreshments available. Continue by jeep through the forest passing by Mayrink Chapel, Açude da Solidão descending via São Conrado beach and returning to the pier via beaches. Rio de Janeiro is the perfect match of sea, land and people. Few cities in the world manage to get together, in such a natural way, the ingredients to create a special place to live. Beaches, sun, samba, football, beatifull and friendly people and traditional bossa nova are in the neighborhoods. Christ the Redeemer: a modern Swiss-made cogwheel rail climbs through Tijuca Rain Forest up to the top of Corcovado mountain (710 m). It takes about 17 min at a maximum speed of 15km/h on the way up, and 22 min at 12km/h, on the way down. The trip ensures breathtaking views of Rio, such as the Rodrigo de Freitas lagoon. At the very top of the mountain, and yet after climbing a steep flight of steps, there stands the statue of Christ, the Redeemer, carved in soapstone mosaic in the finest art nouveau style. 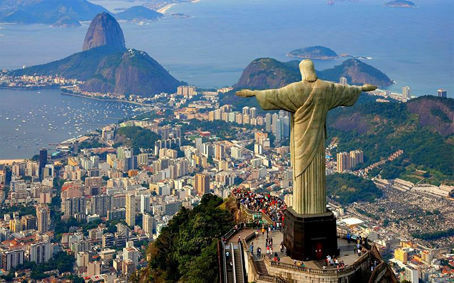 Its 38m high and the outstretched arms blessing the city have become Rio's most famous postcard. 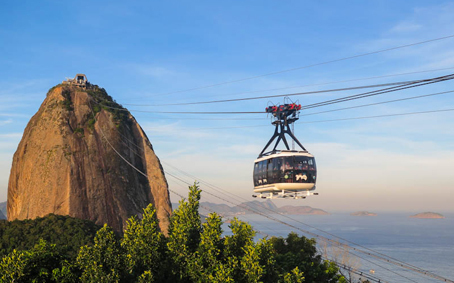 Sugar Loaf: ride through Rio's beautiful architectonic monuments, visit the Metropolitan Cathedral and ascend the twin peaks by a series of venturing cable car rides. On the first hill, called "Urca", walk around the flowered passways and enjoy the magnificent views. The goes up to the Sugar Loaf itself. Visitors will admire the unique beauty of Guanabara Bay, Niterói, Copacabana and Santa Cruz Fortress, a landmark of Rio's history and will certainly be amazed by the awesome views.